2. Take a flat shader brush (e.g. MAC 239) and pat Blue Candy on the outer part of the lid. 3. Take a flat shader brush (e.g. MAC 239) and pat Suave Intentions on the middle of the lid. 4. Take a flat shader brush (e.g. MAC 239) and pat White Frost on the inner part of the lid. 5. 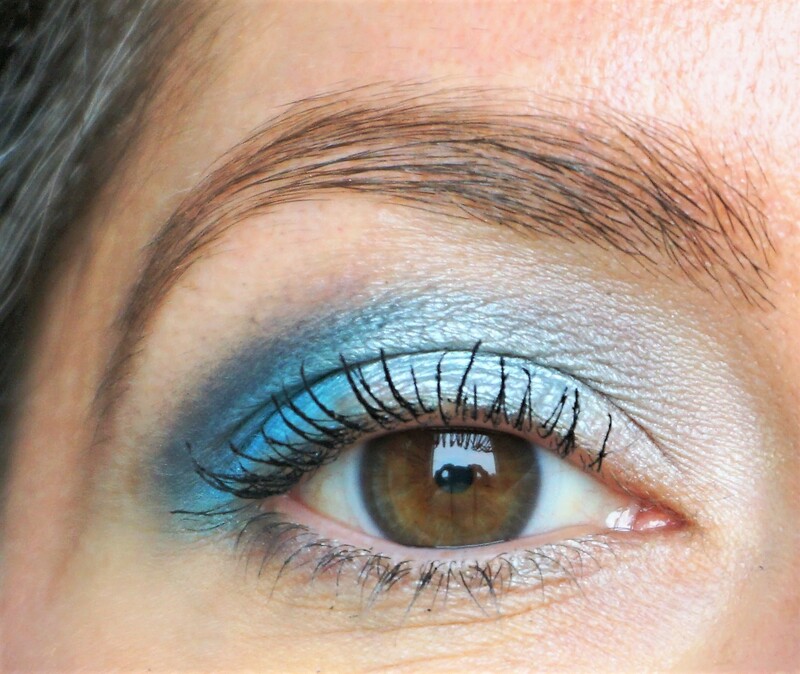 Sweep Contrast into the crease using a windshield wiper motion (e.g. MAC 224). I used the 224 as it is fluffier than the MAC 217 and gives a softer, diffused application more easily. 7. Take an angled eyeliner brush (e.g. MAC 266) and sweep Suave Intentions along the lower lashline. 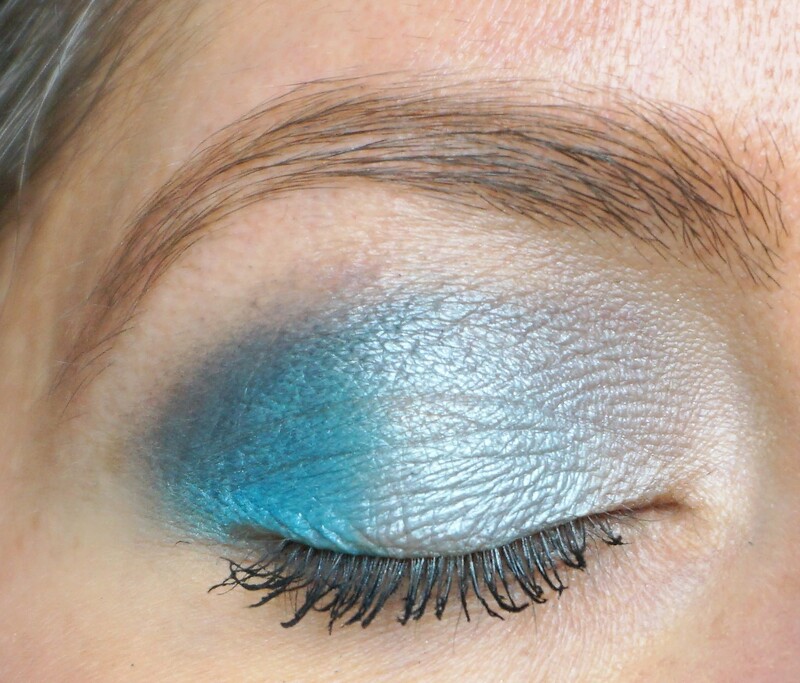 Take the same angled eyeliner brush and sweep a little of Blue Candy along the outer part of the lower lashline. Use the same brush to apply White Frost on the inner part of the lower lashline.